The steps leading up to buying a franchise can be an overwhelming experience, especially for first-timers. These steps involve research, research, and more research. It also requires a lot of soul-searching and decision-making to find the best franchise. Fortunately, there are many franchising resources and guides to make the process easier. With this in mind, we wanted to give you a hand as you explore different franchise opportunities. We compiled a franchising guide to help you get started. Take a look below for some great tools and resources! Whether you’re a first-time buyer, or planning on buying another franchise, The Entrepreneur’s Source is a great place to start. They’re a group of franchise coaches who help you discover various opportunities based on your goals and objectives. You will also gain a comprehensive understanding of franchising since their main focus is on educating their clients. In this way, they offer clients a safe space to learn and discover while never being pushy. The IFA is a well-recognized association, and is a great resource for learning more about franchising. You can also explore various opportunities, learn more about funding, become a member, and access their own resources. They also have a print and digital publication called Franchising World, which offers more insight into franchising. It covers topics that aren’t only valuable to franchisors, but to franchisees and those considering buying a franchise as well. While the FBA is an association for franchise brokers, it’s also a great way to connect with a consultant and explore the many different franchise opportunities available. Very much like The Entrepreneur’s Source, these consultants help you make sense of franchising. They’ll offer you great insider information, identify any red flags with franchises, help you find funding, and much more. FranchiseOpportunities.com is more of a “self-help” website and is great for those who are just starting to consider franchising and want to see what’s out there. You can discover franchise businesses based on category, investment level, or state. You can also browse featured or popular franchises. Unsure about financing? Visit their Finance Center to see what your options are. For those buying a franchise or starting a small business, financing is always an important (and scary) component to consider. Fortunately, there are plenty of financing options available, such as The SBA. You can explore different loan programs, or find out more about other sources for financing your business. Their website is a great resource for learning more about starting and managing a business, which comes in handy for those easing into entrepreneurship. Recognized by the IFA, Franchise Help is another great resource for those thinking of buying a franchise. Like most of the other sites mentioned in this franchising guide, Franchise Help has an extensive directory from which you can learn more about a franchise. They also provide free detailed industry reports, so you can gain great knowledge of how lucrative a potential industry can be. Having transparency and unbiased reviews about franchises is another important factor when buying a franchise. FranchiseBusinessReview is a good place to start when researching a franchise you’re interested in, as franchisees themselves review their franchisors. Aside from reviews, this website also provides a ton of information and news on franchising. When buying a franchise, knowing your ROI will be top-of-mind and will have some impact on your decision-making. If TapSnap is among your top choices, use our handy ROI Calculator! 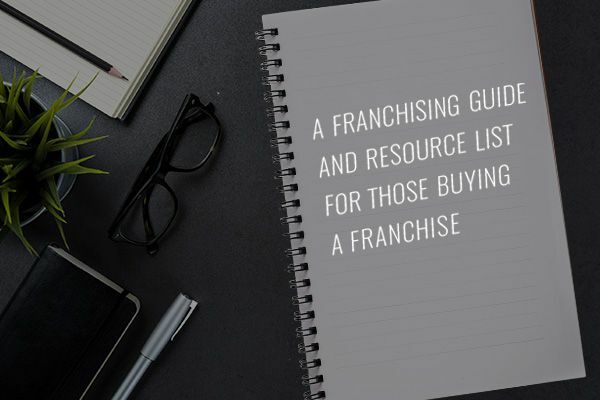 For more franchising resources, be sure to take a look at ZorSource’s Franchise Department Director, Alexandria Warren Watson’s recommendations. Have questions about franchising with TapSnap? Get in contact with us at 1-877-577-0566, or download our no-obligation Franchise Information Report.